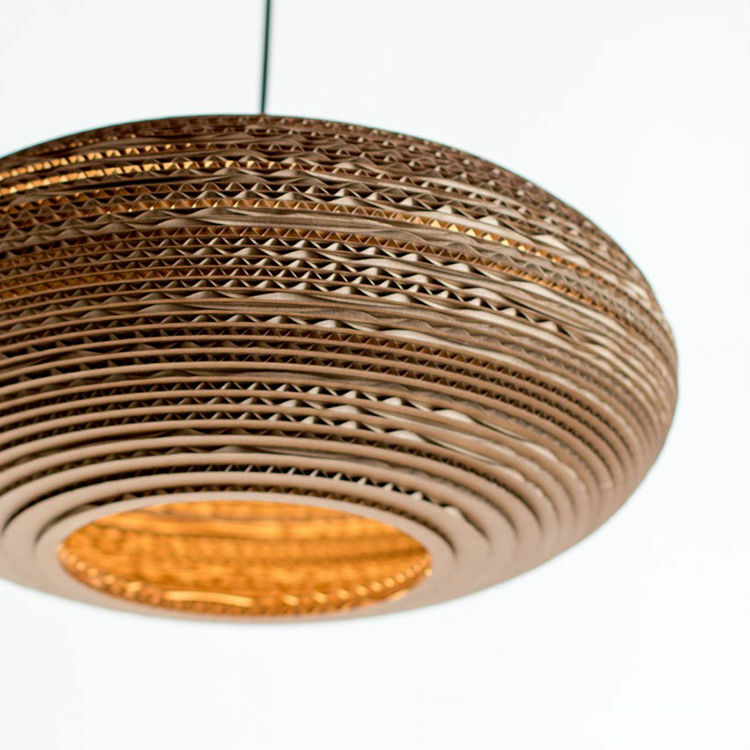 Large oval hanging lampshade made from recycled cardboard -therefore light but strong and the layers of cardboard look like wood. 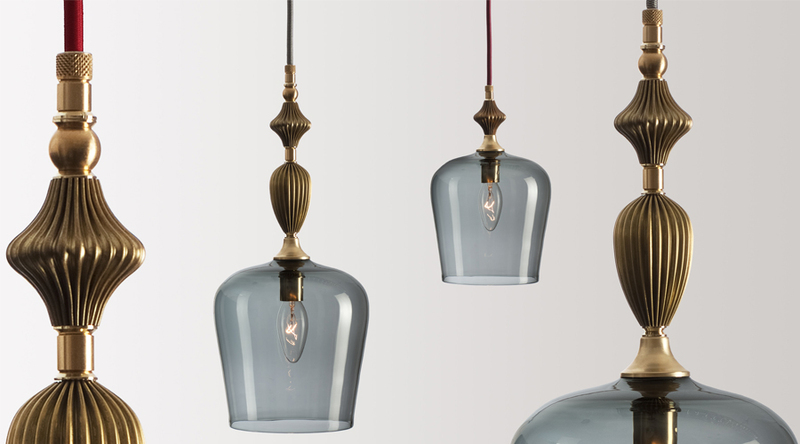 The oval mimics the UFO design and a shade which works well, has a 60's futuristic vibe. 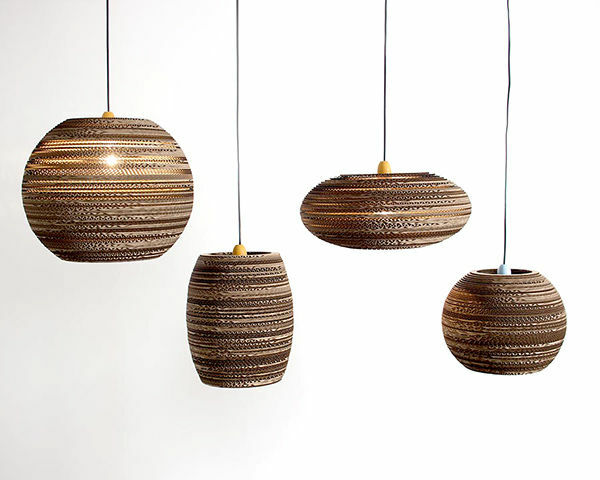 These shades are guaranteed to add an element of funkyness to a room especially if hung low over a table. 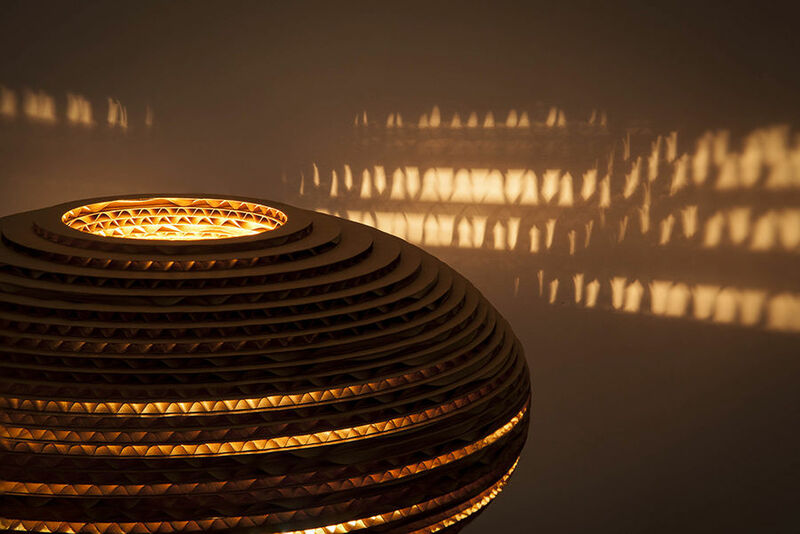 They are inspired by Frank Gehry, who produced cardboard lampshades back in the 60's. The shade comes complete with cable and fitting. Max bulb 40W. 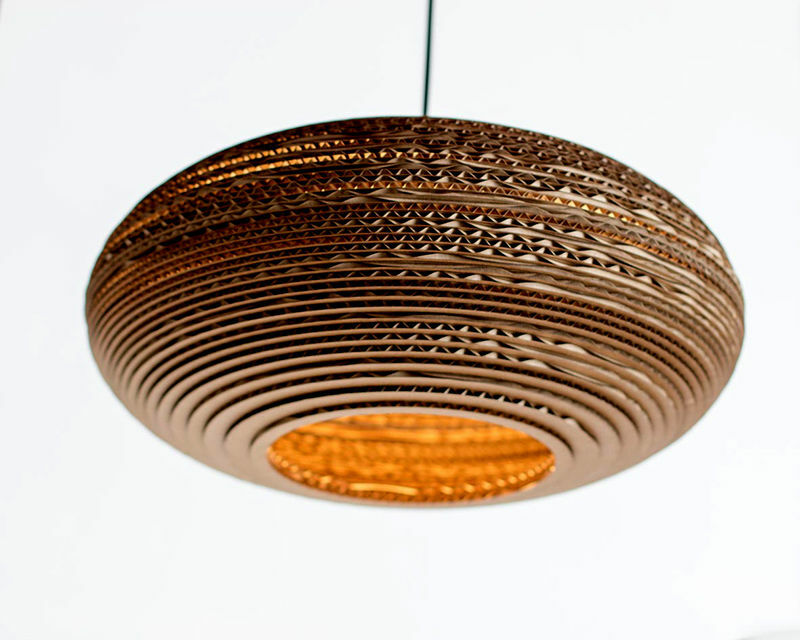 The ethos behind the company is to create lighting using predominantly repurposed materials, the bulk of which is cardboard and Corex. Corex is usually used for making For Sale signs on houses. The result is environmentally recyclable yet fine boutique designed products.